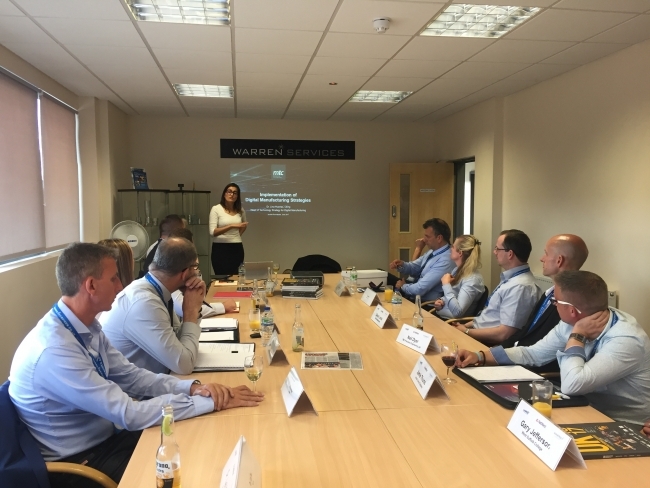 A new subcontract manufacturing hub for Norfolk was among the subjects debated by a diverse group of 20 local manufacturing companies on Thursday 16 June at Thetford-based engineering firm, Warren Services. 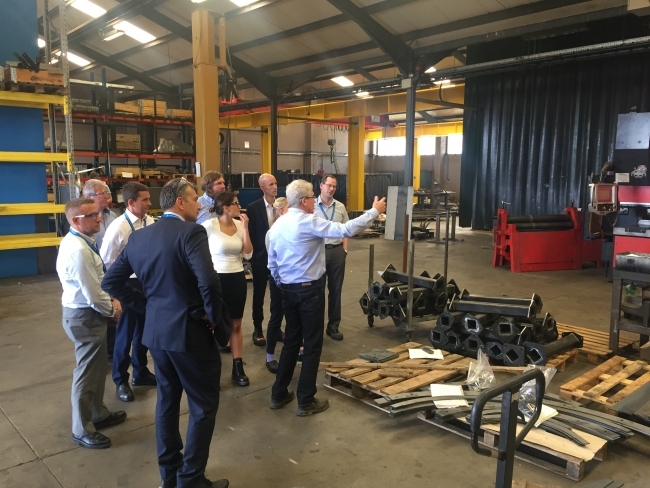 The effect of digital technology, robotics, automation and 3D printing on manufacturing and business efficiency were among the subjects discussed by firms ranging from Southwold brewery Adnams to TML Precision Engineering in Hethel, Norfolk. The group made tours of both Warren Services’ factories on the Fison Way industrial estate and nearby Vanilla Electronics. The event, part of a national programme of factory tours and round table debates organised by the High Value Manufacturing Catapult (HVMC), was held to showcase opportunities in digital technology available to engineering businesses in the region and how they could benefit from embracing these technologies, including sensors, connected factories and robots. Dr Lina Huertas, head of digital at The Manufacturing Technology Centre in Coventry, demonstrated how new technology could help companies – especially SMEs – helping to grow their businesses, using forecasting tools to prove the business case, and increase the efficiency in their day-to-day operations. Warren Services’ former chairman and New Anglia LEP board member for skills, Richard Bridgman, showed guests around both Thetford sites, discussed the company’s recent projects, including the fabrication of more than 100 balcony sets for luxury London apartments, and new capex investment. He also threw out a challenge to other local businesses to consider putting more focus on careers in modern manufacturing and the need to train and educate young people from the region on the opportunities available to them. A key focus point discussed at the event was plans to develop and grow an engineering community in Norfolk and Suffolk that can collectively promote the opportunities in sector. With the HVMC wanting to provide their expertise to smaller engineering firms nationwide, the idea of using West Suffolk College as a regional ‘spoke’ for the Catapult’s hub was proposed. The Bury St Edmunds college recently received an £8 million LEP grant to develop a completely new high end engineering training facility. The guests, which also included Camvac, Lintott Control Systems, Eastern Attachments, Extremis Technology, PCE Automation and Centurion Safety Products, discussed how businesses can collectively engage with young people in East Anglia to inspire them to consider a rewarding career in engineering. Warren’s chairman, Will Bridgman spoke about their commitment to the Five Per Cent Club, a scheme where a business commits to having at least 5% of employees made up of apprentices or graduates. 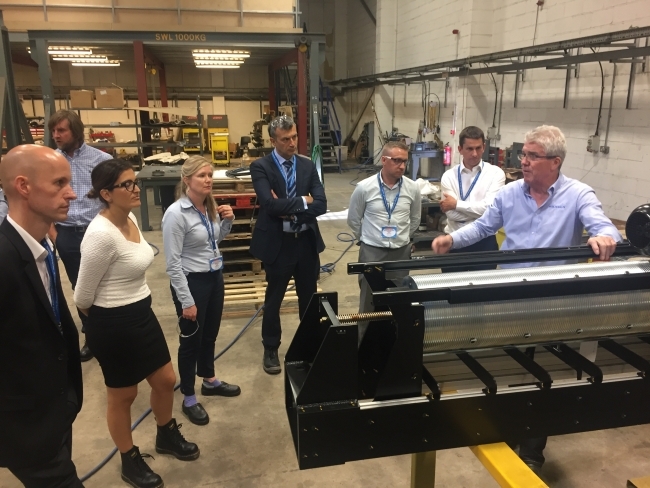 A benefit widely agreed by the group is that this sort of attention to workforce development provides long term skills retention for a business, something the Bridgmans were keen to share with others. In May two surveys gave further insight into workforce patterns in engineering. A survey by the Subcon Show (a national event for subcontract engineers) showed that 90% of manufacturers nationally want to attract more young people to the sector and a separate survey by JobSite highlighted that 86% of 16-18 years believe that engineering is a ‘cool’ career choice. Will added: “This goes to show we have two groups that we need to connect, those engineering firms seeking new talent and the young people in the region wanting a long-term rewarding career. I encourage anyone wanting to attract new talent to their business to have this high on their agenda”. Another topic debated was local business collaboration, with one example being a partnership between Warren and its neighbour Vanilla Electronics, an end-to-end contract electronics company, whereby both firms collaborate to offer customers a full eletro-mechanical build service.